Unlike other tourist cities in Italy Naples isn’t a looker, but what it lacks in head turning architecture it makes up for in other ways, one being it’s the home of pizza, need I say more! Naples is a modern city, rich in history, and dotted with countless churches, a medieval university and not to mention its the gateway to the Amalfi Coast and idyllic Sorrento is not too far away either. 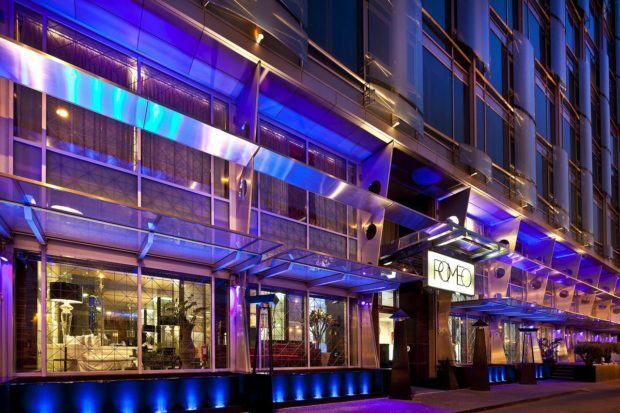 If you are heading to the city, here is our list of our favourite hotels there. 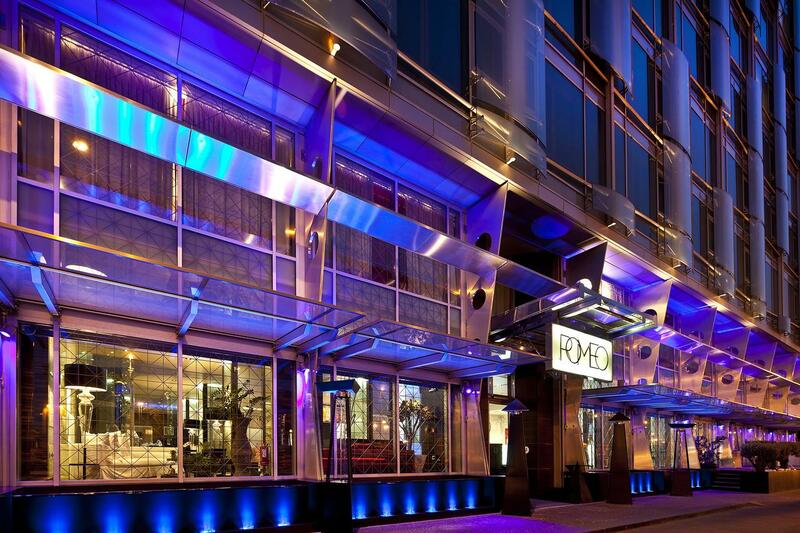 The 5 star Romeo Hotel overlooks the Bay of Naples and is an imposing sight with its sleek glass and metal finish. It’s conveniently close to all major attractions in Naples which are within a short walk from the hotel and if you want to explore the bay of Naples you can hop on a ferry which are docked close by. 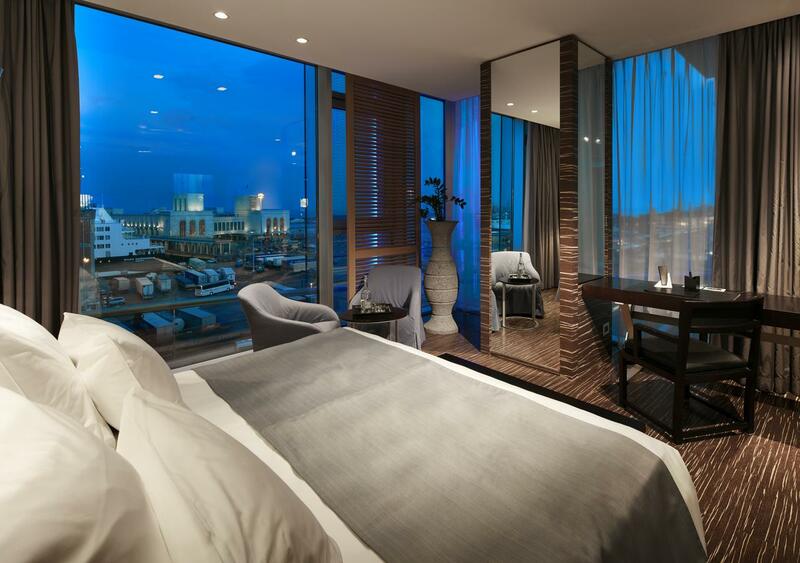 The hotel includes an incredible rooftop pool, luxuriously finished rooms, a Michelin star restaurant as well as a bar and terrace on the ninth floor, this is our top pic for a stay in city. A grand dame of a hotel the Grand Hotel Parker’s sits on a hill proudly looking over the Bay of Naples. Sumptuously decorated public rooms adorned with chandeliers, original antiques and bronze and marble statues create the ambiance of a palatial stately home. 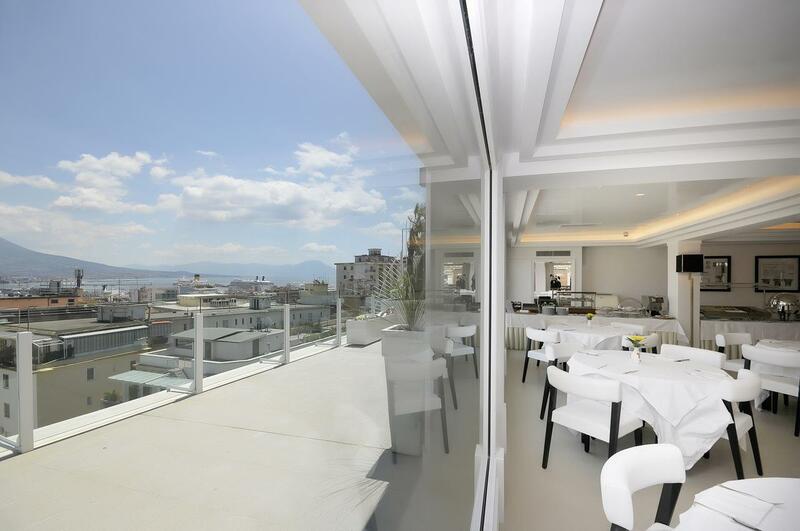 Choose between split level suits, with dramatic bay views or their classic and delux rooms with city and sea views and finish any day sightseeing off with Neapolitan cuisine at their restaurant Georges for dinner. The Grand Hotel Vesuvio mixes tradition with luxury flawlessly and has been a Neapolitan home for celebrities and luxury travellers since 1882. 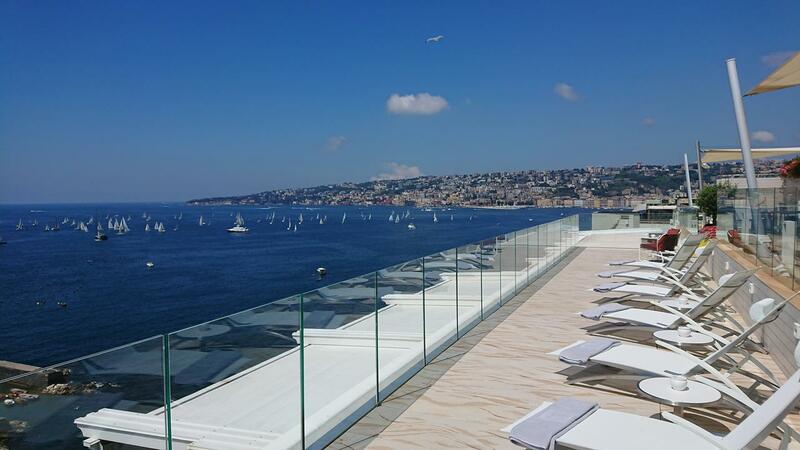 Located on the sea-front looking out over the Castel dell’Ovo and Bay of Naples the hotel has 160 rooms, 21 suites and two incredible panoramic restaurants to dine at. 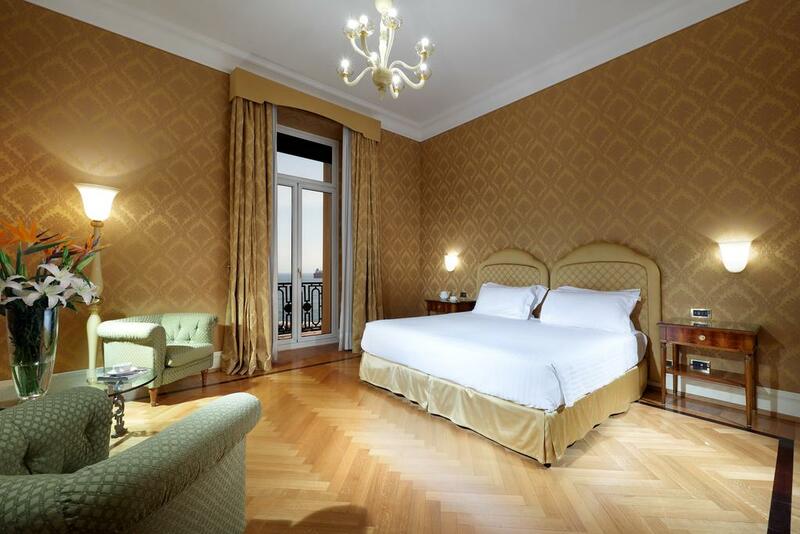 Think Old World elegance at the Grand Hotel Vesuvio, marble hallways lite by vast Murano chandeliers, antiques and oriental runs run the length of the hotel, while it is looking a little faded it’s all part of this landmark property. One of Naples original luxury hotels, the property has been given a recent facelift positioning it again as one of the best places in the city to stay at for the discerning luxury traveller. Located on the Santa Lucia waterfront opposite the Castel dell’Ovo, the hotels corner positions means it has a double aspect of the Vesuvius and the castle. Celebs and royalty have all graced the hotel over the years and the top to toe refurb has given the hotel a new lease of life while still keeping its Old World charm. 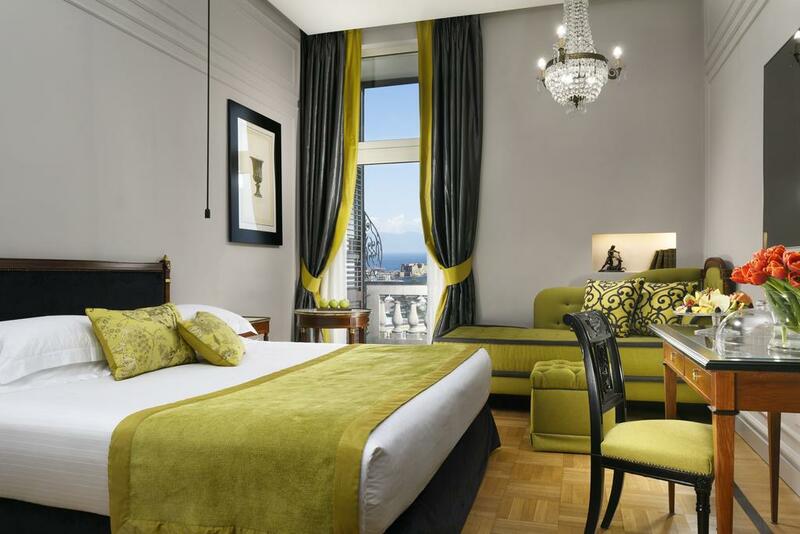 Unlike the other luxury hotels in Naples the Grand Hotel Oriente is set back from the bay in the historic city centre. Within easy walking distance of Naples major attractions, bars and restaurants and good connections with public transport this hotel is all about the location. In the summer months the hotels breakfast terrace comes into its, own and its tranquil interiors and decoration offer a calming haven from the bust streets outside.